European Regional Development Fund: € 2 674 451,50. 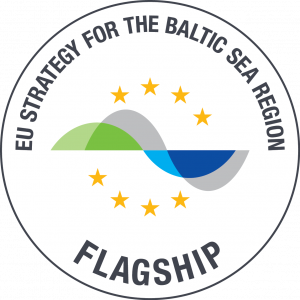 The overall objective of the Project: to increase transnational coherence of shipping routes and energy corridors in Maritime Spatial Plans (MSP) in the Baltic Sea Region (BSR). This prevents cross-border mismatches and secures transnational connectivity as well as efficient use of Baltic Sea space. Thereby Baltic LINes helps to develop the most appropriate framework conditions for Blue Growth activities (e.g. maritime transportation, offshore energy exploitation, coastal tourism etc.) for the coming 10-15 years increasing investors’ security. New Baltic LINes report developed by the Latvian Ministry of Environmental Protection and Regional Development provides an insight into Latvia's experience on the development of future scenarios for shipping and energy sectors up to 2050 and the identification of critical issues at national and BSR levels, as well as key findings and outcomes. The project Baltic LINes on January 24 – 25, 2018 organised an international shipping sector stakeholder workshop “Shaping the Future of Shipping in the Baltic Sea” in Riga, Latvia. 18 shipping stakeholders from the Baltic Sea Region engaged with the simulation software “MSP Challenge 2050”. Project "Baltic LINes" organises the international shipping sector stakeholder meeting and interactive simulation for the Baltic Sea “Shaping the Future of Shipping in the Baltic Sea”. The meeting will take place on January 24 – 25, 2018 in Riga, Latvia. New Baltic LINes reports available! Two new reports from the project "Baltic LINes" are analysing data needs and availability as well as establishing guidelines to data exchange and dissemination towards building a prototype Baltic Marine Spatial Data Infrastructure (MSDI), which will make it easy to access open standard datasets. During the 8th Annual Forum of the EUSBSR on 13 – 14 June 2017 in Berlin, project partners of "Baltic LINes" organized seminar "What's the future? Testing the possible scenarios for shipping and energy in the Baltic Sea and how to integrate them into maritime spatial planning". The report "Shipping in the Baltic Sea: Past, Present and Future Developments Relevant for Maritime Spatial Planing" represents a first synthesis of available literature on the topic of shipping in the Baltic Sea and related past, present and future developments relevant for MSP. Baltic LINes along with its sister project North SEE has been presented in the Interreg B Journal 2016 which is published by Federal Institute for Research on Building, Urban Affairs and Spatial Development in Germany. Two new European projects will improve transnational coordination in Maritime Spatial Planning (MSP) in the North and Baltic Sea. Because human activities and their impacts do not stop at national sea borders, there is a need for coordination among national Maritime Spatial Plans and planning processes. 6th Baltic LINes project partner meeting will take place on 11 - 12 June, 2018 in Gdansk, Poland. Global Maritime Conference 2018 will be held in Sopot, Poland on April 19 - 20, 2018 at the Faculty of Economics, University of Gdansk.